I am sitting here looking at the leaves change color. Slowly fading from from green to yellow then to orange. As I sit here here, getting lost in my thoughts, my mind starts to drift into styling mode. My daydreams are occupied by the black and white kimono I received for my birthday. Completely oblivious in the correct or even incorrect way of styling this gorgeous kimono, I enlist help from google. 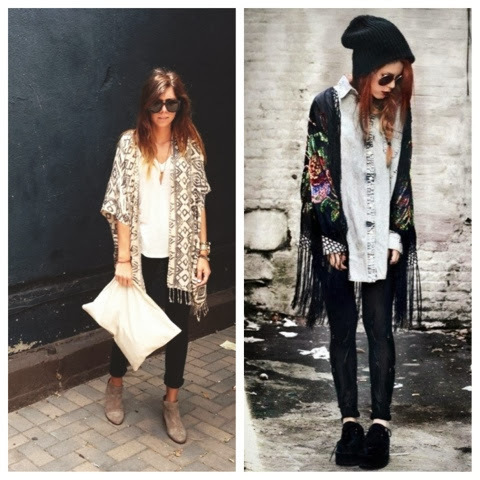 In my inspiration search I came across various ways to style a kimono. Majority of the styles were put together with the intention to be worn in warmer weather. 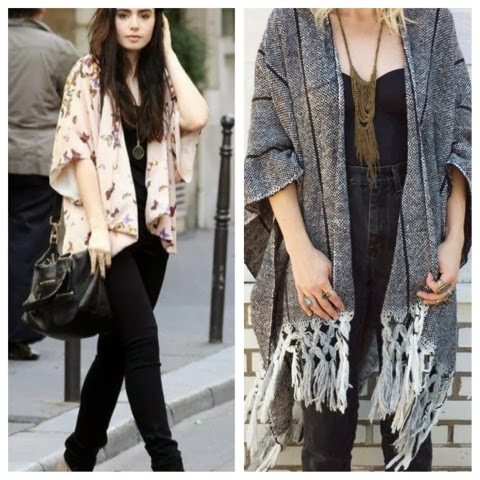 As the fall Cleveland weather is amongst us I am search for the perfect kimono style! Autumn is symbolic for change. Change in the weather, colors, fashion, and so much more. Here are some kimono looks that are caught in the midst of autumn. Hoped you enjoyed the kimono journey!